Britain’s black power movement is being written out of recent cultural history because it does not fit into the “utopian” narrative of the UK being a nation of civilised fair play, a new book argues. The authors of the work, the first detailed history of black power in Britain, argue that an important chapter of recent cultural history is in danger of being forgotten.The Cambridge academic Robin Bunce said: “There is a fundamental danger of erasing the very notion of a struggle at all. I’ve been researching this for four and a half years and there have been so many occasions when people have said to me: ‘There was no black struggle in Britain. You’re thinking of South Africa or America.’ “The narrative that feeds it is the one that Britain is the utopia of fair play. 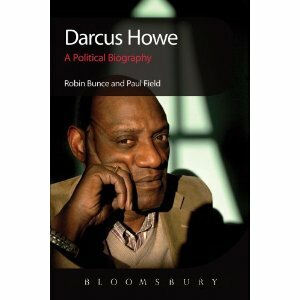 We have such a commitment to individual rights, we have such a commitment to common sense and decency that there is no systematic racism in Britain.” Bunce and Paul Field have published a political biography of Darcus Howe – one of the most significant black activists in Britain – using him as a framework for a history of the black power movement in Britain. They argue that key flashpoints, such as the trial of the Mangrove Nine in 1970 and the Black People’s March of 1981 are becoming a kind of forgotten history. In the book’s introduction they argue “there has been a resurgence of outright denial, linked to the romantic, dumbed-down ‘whiggish’ view of history that suggests racism was always someone else’s problem”. The authors have examined speeches by David Cameron, Gordon Brown and Tony Blair. The latter two, when speaking about black slavery, talk about how Britain abolished it, not how the nation was complicit in it. Bunce said Cameron’s narrative of history was about “the British heart” and the cherishing of individual rights. The prime minister talks about the Magna Carta and the creation of civil rights, the abolition of slavery, the defeat of fascism in the second world war and the defeat of communism in the cold war. “If that is your narrative of British history then there can be no need for a black rights movement,” said Bunce. “Any black person who says they are being discriminated against is clearly just making it up, because the British are just so fair.”Bunce said it was not just politicians, but wider British society that would rather not dwell on the less palatable. The truth, the authors argue, is far from cheerful. 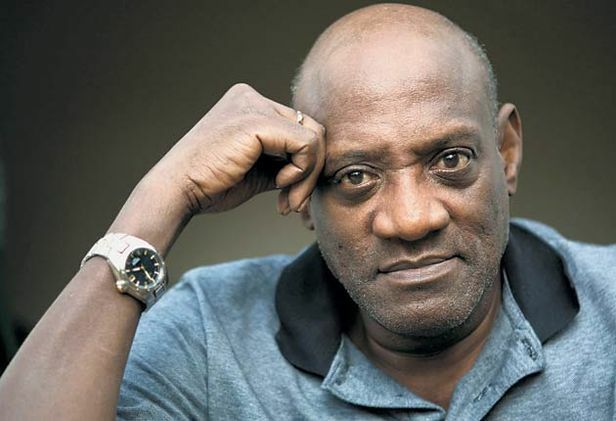 “The history of black people in this country from Windrush until at least the 1970s is one of being treated as second-class citizens,” said Bunce. The book says Britain’s black power movement was galvanised into existence by what was happening in the US and by speeches made at the Roundhouse in north London in 1967 by Stokely Carmichael. “From that point onwards you get this explosion of black power happening in Britain,” said Bunce. Within a week of the conference, an organisation called the United Coloured People’s Association had expelled all its white members and a new black-power-orientated manifesto was being written. 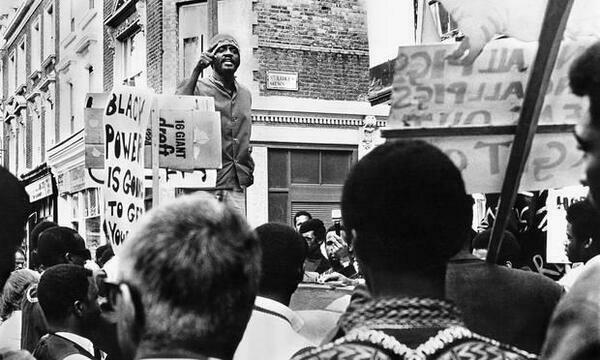 Within a year, there was a British Black Panther movement. By the early 1970s, there was a significant black power movement in Britain that came to wider prominence with the Mangrove Nine trial. The Mangrove was a Notting Hill restaurant that served as a wider black culture community centre. The police saw it as somewhere where terrorism was being cooked up, and “fundamentally believed black radicalism was criminal”, said Bunce. Howe masterminded the campaign against the police and it climaxed with a pitched battle after which Howe and eight others came to trial. Howe dispensed with white barristers and, appealing to the Magna Carta, demanded an all-black jury on the grounds that white jury members would not have experienced police racism. All nine were acquitted of incitement to riot. This entry was posted in As Not Seen On TV, Biographies, Blogadocious, Featured, News. Bookmark the permalink.